Here is a short visual addendum to the current Stereotype column in Print co-written by Stephen Coles and I that focused on chromatic typefaces. These are two pages from Nesbitt’s Fourth Specimen of Machinery Cut Wood Type “manufactured and for sale by George F. Nesbitt, Tontine Building, New-York” (1841). The specimen book is very short and all of its samples are, like those shown here, two-color decorative typefaces. Some are in red and black while others are in red and blue. But all have names that are a mouthful (e.g. Twelve Line Pica Antique Amalgamation Shaded, 2 Colors!). Unlike the 1874 chromatic tour de force by William Page, Nesbitt’s specimen book is a modest affair. Yet, it has its own charms. 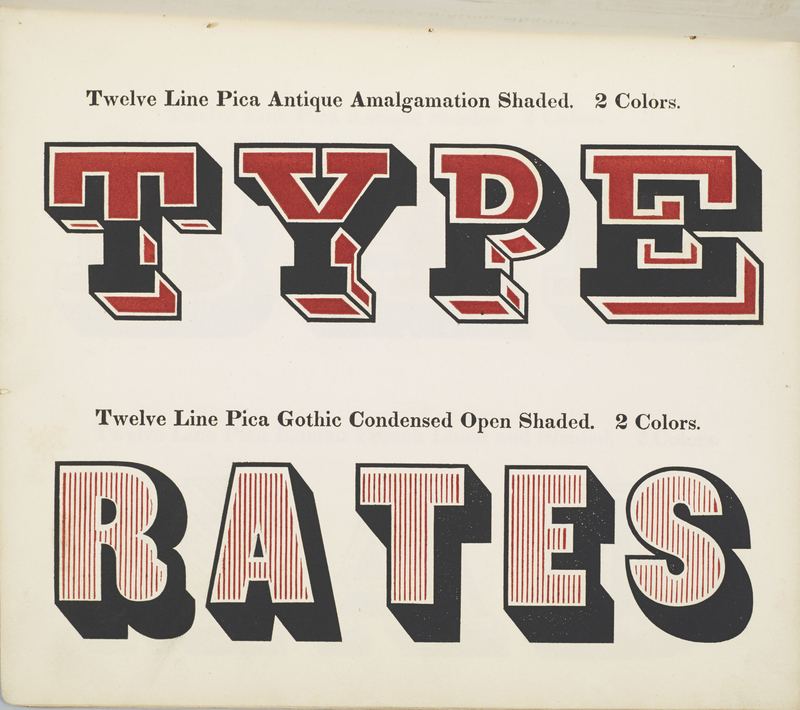 Twelve Line Pica Antique Amalgamation Shaded, 2 colors and Twelve Line Pica Gothic Condensed Open Shaded, 2 colors from Nesbitt’s Fourth Specimen of Machine Cut Wood Type (1841). From the Rare Book and Manuscript Library, Columbia University. 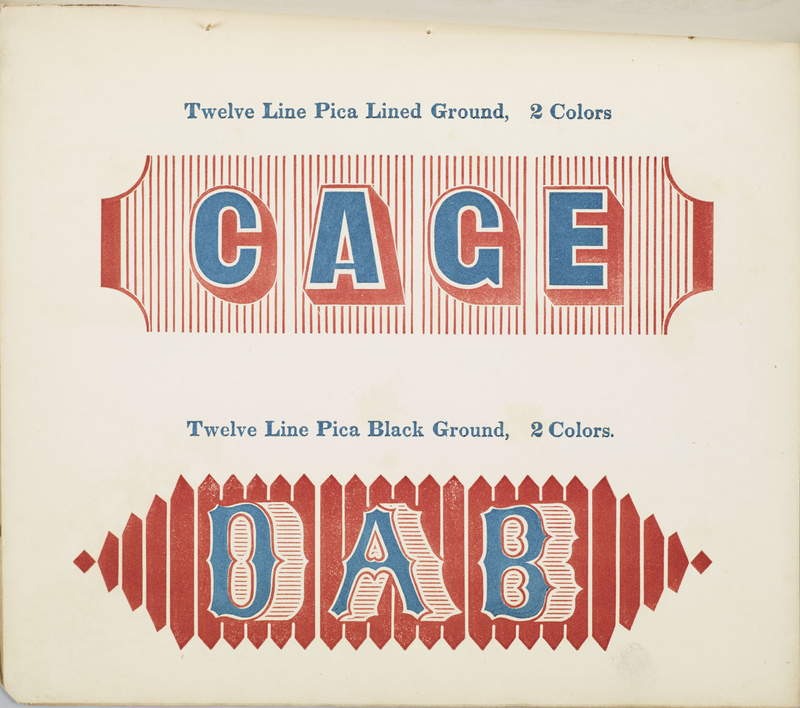 Twelve Line Pica Lined Ground, 2 Colors and Twelve Line Pica Black Ground, 2 Colors from Nesbitt’s Fourth Specimen of Machinery Cut Wood Type (1841). From the Rare Book and Manuscript Library, Columbia University.